Can Cats Drink Almond Milk? Is Almond Milk Good For Cats? Can cats drink almond milk? Is it safe to be given to felines? It is safe to say that almond milk is a healthy alternative to dairy milk. Since the Middle Ages, this type of milk has been a popular substitute for the regular milk that you are used to drink when growing up. Almond milk is a combination of water and ground almond nuts. Although it is high in protein, this milk is still low in calories. The best thing is that it is very low in fat. Why Can Cats Drink Almond Milk? Is Almond Toxic to Cats? How Will Cats Respond to Almond Milk? What Benefits Can Cats Get When Drinking Almond Milk? Cats are often associated with drinking milk and loving cow’s milk. This is not true for all cats. Contrary to popular belief, cow’s milk may not be the best type of milk to offer your cat. Cow’s milk is foreign to a cat since cats drink their mother’s milk and do not tend to seek cows to milk and then drink from. Offering cow’s milk to your cat can cause your kitty to have a stomachache and other tummy troubles. The milk may also cause your cat to gain weight, have higher sugar levels, and eventually develop diabetes. 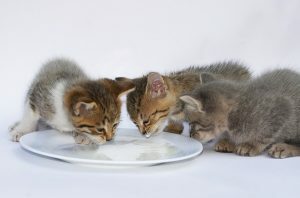 Cats drink water, mother’s milk, and occasionally, milk substitutes as a treat. Milk should not be a source of hydration for your cat. If cats should not drink milk, may cats drink almond or soy milk? Alternatives to milk do not have the high sugar levels, fat content, or lactose found in cow’s milk and is easier for cats to digest. What makes this milk safe for cats is that it does not contain lactose which is one of the ingredients of regular milk. This is a great alternative if your cat could not tolerate lactose. Even though cats love to drink milk from their mothers, studies have shown that dairy products, like milk, can cause diarrhea to some cats. That said, it is a safe or better alternative to regular milk. Any alternative to milk that you can offer that will avoid a bout with stomach trouble, is a good alternative to try! Believe it or not, some cats are lactose intolerant. These cats cannot break down or digest the lactose present in milk resulting in stomach upset, like diarrhea. 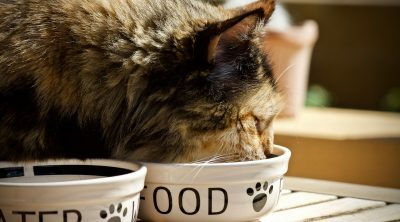 Cats do not have the digestion components that humans do, or even other animals. Cats are on their own with their digestion and should not be compared to humans and animals and be given more milk. Milk is not necessary for a cat, outside of mother’s milk to a kitten of course. If your cat does not drink milk, s/he will not miss out on any important vitamins and nutrients that cannot be found elsewhere. You may have seen in the movies about cats drinking milk. But these cats in the movies are representing cats that can tolerate regular milk well. This is not a safe representation of all cats and should not be used to proliferate this idea of cats drinking milk. However, kittens can safely drink the milk because they still have the lactase enzymes needed to breakdown the lactose in the milk. As they grow older, production of such enzyme reduces, making the cat lactose intolerant. A good thing is that almond milk does not contain any lactose. Its main ingredient is almond. Deriving milk from sources such as the almond is much more natural than deriving milk from an animal. Generally, animals do not drink one another’s milk, and cats are not an exception. Drinking almond milk is healthier for the cat, and better on their digestive system. However, some vets do not recommend almonds to be given to cats because some felines are sensitive to them. If your cats are sensitive to almonds, they might experience minor stomach problems, vomiting and abdominal pains. Almonds are within the nut family, and allergies to nuts vary among people and among animals. Those with allergies should avoid almond milk as the compounds may trigger a reaction of some sort. Also, if you are unsure about any allergies, test your kitty’s tolerance for almond milk by giving him/her a small amount before offering a full serving. Almond nuts are not toxic to cats. Thus, they are safe to be consumed by felines. However, as mentioned earlier, they can still cause gastrointestinal problems to some cats. As a pet owner, you should minimize giving your cats this type of milk. Just because a food or milk is not toxic does not mean the food or milk will be tolerated. They are going to love it. However, if they are sensitive to almonds, they will most likely experience symptoms of bloating, diarrhea and other upset stomach symptoms. Then again, each cat has different symptoms. On the other hand, if your cat licks a small amount of this milk, you should not panic. 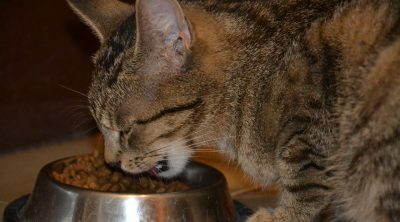 The small amount will not cause any harm or discomfort to your feline’s stomach. But you should take note of its reaction within an hour. If no signs are see, then your cat is not sensitive to almonds. You should not attempt to feed your cats a large bowl of almond milk. There are still components of this milk that might cause discomfort to their stomach. 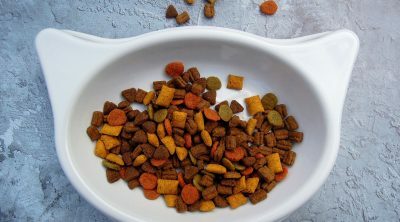 As a pet owner, it is essential to know what types of human foods you can feed to your felines. 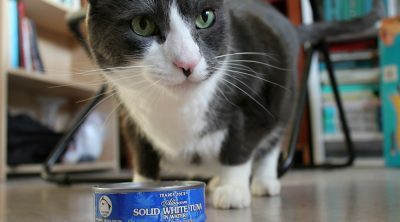 For instance, baby foods may seem healthy and safe to your cats but because many of them are made of onion powder, they can still be toxic to cats. Almond milk may contain sugar which is a no-no to cats as it can lead to obesity and some dental issues. This type of milk offers great nutritional value to the human body. But this is not the same to cats. Then again, it is free of lactose and gluten making it a safer bet than the regular milk. 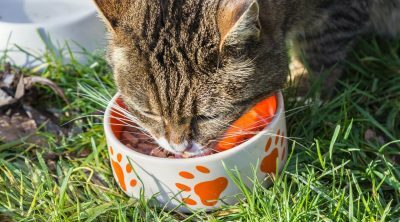 Because it is rich in omega-3 fatty acids and low saturated fat, this milk makes it a healthy drink for your cats that may be at risk of developing cardiovascular problems. Some cat experts are debating about the nutritional value of almond milk. Other experts are saying that this type of milk should only be given as an occasional treat, rather than a part of their everyday food. Your cats will absolutely love almond milk. There is no doubt about it. If you would give them bowls of milk, they would most likely drink it up to the last drop. But be careful. If your cat is allergic to almonds, they might display allergic symptoms which might lead to serious complications. 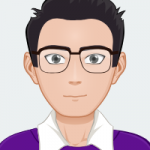 Most cats do not know their limits so it is your role as a pet owner to only give your cats sufficient amount of milk that they can tolerate. As mentioned earlier, give them a small amount at first and take note of their response. If they did not develop symptoms of allergies, you can add more but do not give them more than a liter (4 cups) of this milk in one day. 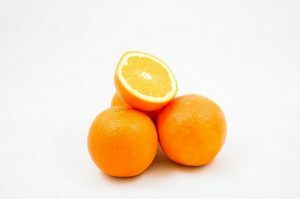 It might cause serious health problems and stomach discomfort. It is also best to talk to your vet about the safety of almond milk to your cats. 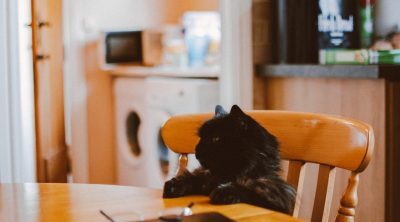 He/she can give you recommendations as to the best almond milk product that you can safely feed to your cats.